We are looking for an apprentice who is interested in learning more about organic grain production, processing, and distribution through a unique collaborative relationship between a farmer, a miller and a baker. The apprentice will work primarily on Oechsner Farm, but will also have opportunities to work with near-by Farmer Ground Mill and Wide Awake Bakery. Oechsner Farm has 600 acres under organic grain production and grows many varieties of wheat, along with corn, buckwheat, rye and spelt. The grain is milled and distributed through Farmer Ground, a mid scale mill operation 10 miles from the farm. Wide Awake Bakery uses the flour to bake artisanal breads and distributes through local markets and a bread CSA. The apprentice will have the opportunity to learn about all three areas of production. We would like to work with someone who has some experience (or at least a serious interest) in organic farming and is looking to specialize in grains. Applicant must have ability to work long days doing physical labor and enjoy working independently as well as a part of a team. Some machine/tractor experience is preferred, however, we will train the right person. Willingness to be near and/or operating loud, heavy machinery is a must. Apprenticeship is April through November. The schedule is five days per week, 40-50 hours per week with one week off during the season. Housing, some food (bread, eggs), and a stipend will be provided. There is a small kitchen garden where the apprentice can grow his or her own vegetables. High-speed wireless Internet is available on the farm. Having your own vehicle is required to travel between the farm, mill, and bakery. 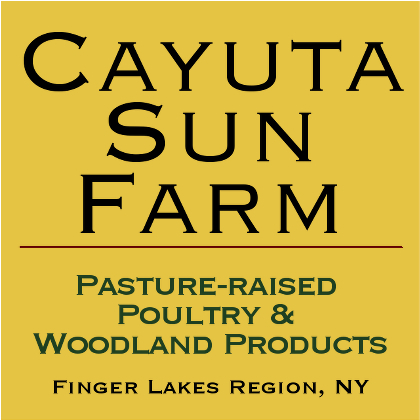 We are located in the heart of the Finger Lakes Region and you will be able to connect with and explore other innovative agriculture projects in our area.
. We prefer that applicants who seem like a good fit come for a working visit in March before hire. Thank you!